Applications invited for Admission-2019. Apply Now. LPU has 45+ disciplines / departments for your career path. I agree to receive notifications from the University in form of SMS/ E-mail. What program type are you looking for? Which discipline are you interested in? Industry certifications, MOOCs, Hackathons / Co-curricular Competitive events, Workshops, Guest lectures, Educational Trips, Live projects, Incubation projects, Community projects, projects with NGOs etc. are an integral part of curriculum. Note: Subsequent phases of admission will be conducted only if the seats remain vacant. Scholarship on the basis of Performance in Sports, Cultural, R&D, Co-curricular and Social Service Bravery Awards. India's Largest University* Lovely Professional University, Jalandhar-Delhi, G.T. Road, Phagwara, Punjab (INDIA) -144411. Admissions for 2017-2018 are closed, except for the following programmes. The last date to apply for admission is 31st August 2017. 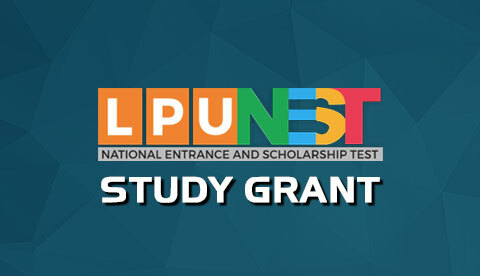 Now qualifying LPUNEST can also get you an assured study grant of upto Rs. 3 Lac per student to study at IITs/ NITs/ IIMs/ NLUs / IHMs/ NIDs/ IIT( DoD/ IDC)/ IIITDM/ NIFTs. OR Get admission into LPU programmes and avail scholarship of upto Rs. 5 Lac per student. 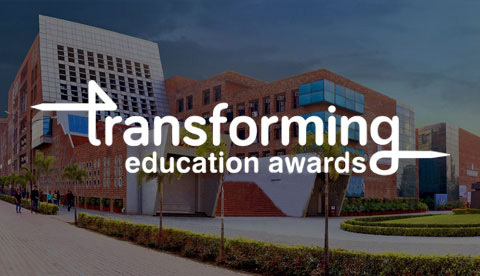 After the grand success of its first edition, the 2nd Edition of Transforming Education Awards is slated to be a much better affair as compared to last year. Upload a video of your inspiring teacher and win a grant of Rs. 50000 for your school, award of Rs. 25000 for your Teacher, and Rs. 10000 for yourself. The photographs of the students, who attended the 9th Convocation are attached under the following links. Students can download the photographs based on the line number allocated to them, for the ceremony. The Accreditation Council for Business Schools and Programs (ACBSP) is the world’s only organization offering specialized business accreditation for all degree levels, from associate to baccalaureate to doctoral degree programmes and which has accredited top business programmes across 70 countries. Dual Degree BBA (Hons. )- MBA M.Com. The tentative cut-off’s for the scholarship are suggested based upon the performance of last year applicants. However, cut-off may vary this year. Candidates are advised to put their best efforts and aim for getting high scores.